There are no buttons like Subscriptions, Service Plans or Resellers. Power User view is in use. Reseller is unable to see available resources taken from service plan. 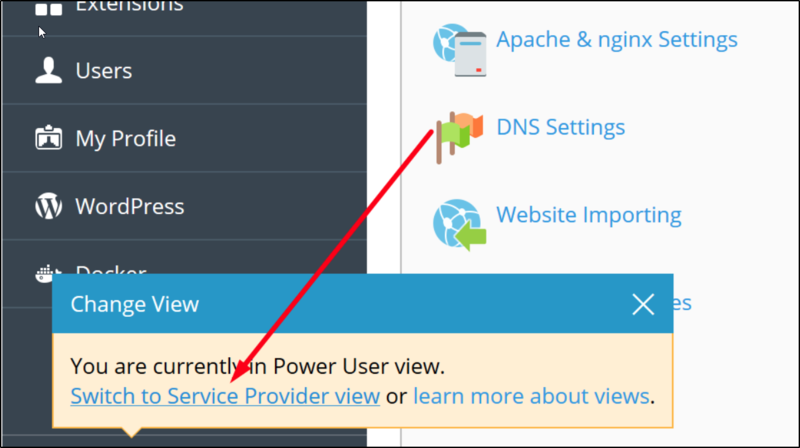 Plesk is in Power User View, which does not use service plans for subscriptions and does not allow managing resellers. Note: it is also possible to do that via the command line with plesk bin poweruser --off command. CONFIG_TEXT: Unable to switch to the Service Provider view due to license restrictions.